Select your application filing process: filing from abroad or filing in the USA? 1. Do I need a trademark in the USA? A US trademark protects your brand’s identity (e.g. name, logo, sound) in the USA. It is important for you to protect your brand; otherwise, a competitor may simply use it freely, or you may run into legal issues should another company consider your brand’s identity to be a threat to their own business. If you already have a trademark in your home country, that does not mean that it applies in the USA unless you have completed specific filings. As you expand overseas, you will need to register a trademark in the USA to protect your brand and your company. 2. How can I file a trademark application in the USA? If you want to use the same brand as in your home country and if you already have a trademark in your home country, it may be easier and cheaper to use your existing registration to generate an “international application” to file in the USA. In that case, your current lawyer and your current trademark registration office can assist you with the process. However, keep in mind that the USA has its own requirements: product or service descriptions are usually much more detailed and specific than in other countries*, and the classification system is also specific to the USA. In some situations, it can take time to figure out how to match these requirements. * For instance, if you sell hats and use the Madrid Protocol to file from your home country for the USA, beware that the description of your products in your current trademark registration may only bear the mention “clothes” whereas US standards will require the specific word “hats” in this description. If you want to create a new brand or brand identity for the USA, or if you find it more convenient and safer to deal with legal matters in the USA, then it is better to file a trademark application in the USA directly through the US Patent and Trademark Office (USPTO). 3. When should I file my US trademark application? 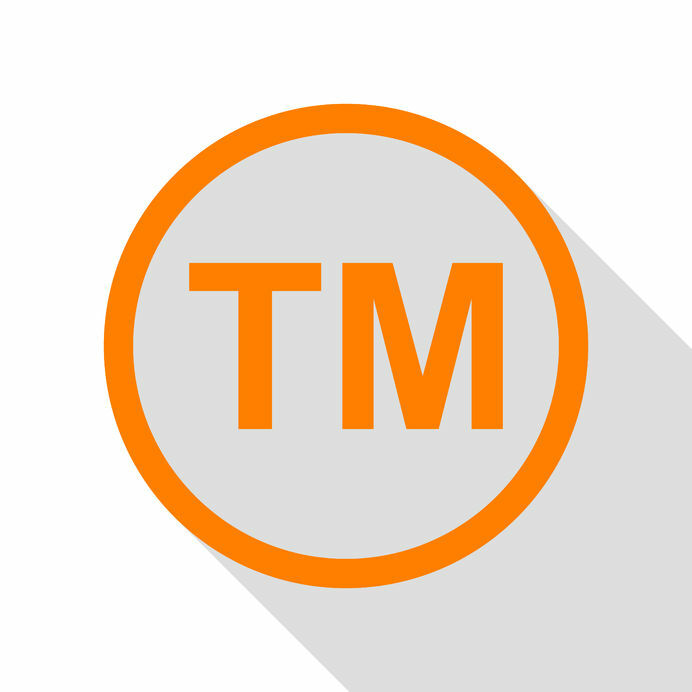 The overall process from filing US trademark application to obtaining trademark registration usually takes approximately 12 months (sometimes up to 18 months). So, the sooner, the better. Then it is recommended that you file a US trademark application about 6 months before you enter the US market. It will indeed help you prevent other companies in the USA from using your mark, which would create confusion when you actually start doing busines in the USA. Your mark is indeed legally protected to a satisfying extent as soon as you have filed the application. The “Intent To Use” application lets you apply for the US trademark even if you don’t use your mark in commerce yet. Then it is recommended that you file a US trademark as soon as possible if you have not done it so already, for other companies may take advantage of your legal weakness to hamper your business activities. It will also help discourage companies from using a mark that looks or sounds quite similar to yours, and thus helps you establish a stronger brand. In that case, you will file a “Statement Of Use” (SOU) and submit proofs that you are already using your mark in commerce. For more information on ITU and SOU requirements and filing process, check US Trademark Application Process & Requirements. 3. 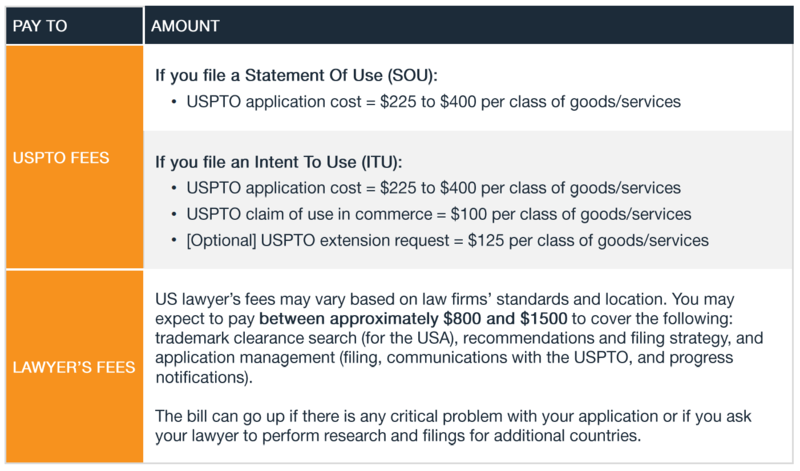 How much does the US trademark application and registration cost? You will find below is a high-level cost estimate. For further information regarding the trademark process and detailed fees schedule, please refer to US Trademark: Application Process and Fees.